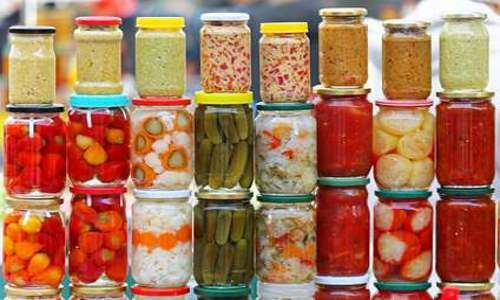 Knowing how to use fermentation to preserve foods can help you survive a long term disaster. Here’s a modern look at an ancient method of survival, and a list of the top 10 healthiest fermentation survival foods. What makes the best survival foods for fermentation and long term storage prior to any emergency? Here is the situation: you and your group have survived a catastrophic disaster because you were prepared beforehand. You have food and resources for the time being. Now it’s time to develop food sources to refurbish and resupply your needs. You also wisely packed the basic emergency medical supplies and have first aid training. But medical personnel are in short supply and hospitals and clinics are now a thing of the past. How do you produce nutritious foods and stay healthy in these perilous and uncertain times? An ancient method of preserving food and producing healthy nutrients is coming to the rescue — fermentation. One of the first things humans did when they moved from hunter-gatherer nomadic societies into settled village life was to learn to preserve the foods they produced. The invention of pottery made storage in a permanent settlement a reality and larger amounts of foods could be kept for times when seasons changed or foods were in short supply. One of the first and healthiest ways to preserve foods was with fermentation. Fermented foods contain absolutely essential bacteria, Lactobacilli that strengthen the intestinal system, the “GI” is where many health problems begin and become worse. Planning for the continued survival after a catastrophe should include planting food items that can be fermented and consumed and stored for health benefits and sustainability after emergency rations are consumed. Responsible survival planning should include fermenting. Equipment required is quite simple. Sharp knives for processing and slicing the vegetables, tight sealing jars for processing, salt to make the brine and cold storage facilities (a root cellar or cooler). A brine is produced with a mixture of salt and water and the vegetables are left to ferment. The Lactobacilli begin to reproduce and the fermenting process begins. The brine is a resource in itself. The foods can be stored and consumed on a long term basis as long as a cool temperature is maintained. Fermented foods have extreme health benefits as well as psychological ones. Relocating for survival will be stressful. Adding a spicy side dish to accent basic fare will keep morale up. Fermentation produces health benefits that today’s highly processed foods do not. If you read the ingredients on labels of canned goods they read like college chemistry textbook. The survivors’ necessity of preserving foods in safe and healthful ways has many benefits. Healthy digestion is essential to good health and consuming foods that have been produced through fermentation is the key. Nearly all organic plant matter contains a kind of lacto-fermenting bacteria called Lactobacillus acidophilus. When Lactobacilli begin reproducing in the fermentation process, they produce lactic acid. This helps to act as a food preservative. The fermentation process is also beneficial in that it makes the essential nutrients in the food readily digestible. Today’s supermarkets carry entire departments of natural and organic foods, many are fermented. But this is not rocket science. You can easily produce healthful fermented foods yourself. Kombucha: a fermented beverage of black tea and honey. It has multiple benefits. Sauerkraut: fermented cabbage, high fiber and cabbage is a multi-vitamin storehouse. Pickles: Too many vitamins and minerals to list here! Miso: made by fermenting soybean, barley or rice with the koji fungus. This has anti-aging benefits and boosts the immune system (very critical in survival situations). Tempeh: a combination of soybean and tempeh starter, an excellent source of protein. Natto: a Japanese favorite, made with fermented soybeans. Make sure you can plant or have access to soybean, it’s nutritional value and multifaceted uses can go a long way in sustaining health in a post-Apocalyptic environment. Kimchi: a legendary Korean dish that uses fermented cabbage and vegetables. South Korea is a leader in longevity and much of the credit goes to the kimchi. Raw cheese: Pasteurization has its benefits and drawbacks. Much of the vitamin and GI value is removed by this process. Pasteurization was a product of mass production and distribution of food. In a survival environment this is not only unnecessary but hinders the health value. Here again, goats to the rescue! Yogurt. Easy to make, and doubles as a basic food and treat. Add local berries and enjoy and be healthy. In a catastrophic environment medical aid will be a matter of self-care. Having basic medicines, knowing which medicinal herbs grow in your new location and maintaining health and strength will figure into your survival plan. Eating right will be a critical part of that plan. Knowing what natural food sources are available, planting seasonal foods and using whatever protein sources are the most available from hunting, fishing or raising small animals and poultry will be a part of your new life. Preserving these foods for winter or times when food supply sources are scarce such as a drought, weather emergency or storm or any other event is equally critical. Being able to ferment foods will enhance their “shelf life” and expand your diet. Fermentation has a quality of enriching the vitamin value as well. Surveys in recent years have concluded that the Western diet, especially the average diet in America, has led to a decrease in life expectancy. Processed foods, excessive sugar (fructose syrup) and preservatives dominate the American diet with totally negative outcomes of poor health and health knowledge. Adding to this a decrease in active lifestyles, daily stress from excessive use of personal media and social media (excessive use of social media is considered to be a factor in depression), alcoholism and an opioid epidemic now in full expansion, means that in a post-Apocalyptic world many more would die just because of health issues. A survival diet would have to eliminate these factors and food choices since health care and medical personnel would be scarce. Proper preparation for self-sufficiency and food production and storage would protect those who wisely plan ahead and ensure a healthy chance at survival. Combined with fermentation there are several other means of food preservation. Drying (this process depends on the climate of your retreat). This is an excellent way to preserve fish and meats. This can be done on a large scale so as to have foods for barter. Smoking (in this process there are security and location considerations, as well as type of available wood).It is important to remember fire safety and whether or not this method is safe when unfriendly neighbors are around. Selecting wood that is safe to burn and adds flavor is also essential to the process. Salting: salt is an essential item in any survival situation. It is a preservative, adds “spice” to otherwise bland foods and also contains iodine for good health. Fermentation is a serious element of survival in a catastrophic situation. The lack of medical assistance, the need to maintain health, and the necessity to produce healthy foods after initial stored emergency foods are diminished make the use of preservation techniques a must-do. Knowing which foods are locally available, which will thrive when planted and how to prepare and preserve these are among the responsibilities of survival leaders.